One of the most controversial issues facing states today–Private prisons. 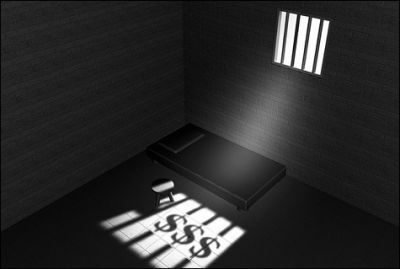 Prisonpath has posted articles discussing the the negative factors surrounding private prisons. Private prisons revolve around the simple principle of profit. More inmates mean more money. Cutting costs means more profit. The many problems of private prisons were exemplified in Ohio at the Lake Erie Correctional Institution. The articles show what prison is like if the prison is private. The following article about the New Hampshire House rejecting private prisons discusses also the umbilical cord between immigration and immigrants and private prisons. The New Hampshire House voted today to prohibit private prisons in the Granite State, countering progress the industry has made elsewhere around the country. The House on Thursday voted to forbid the executive branch from privatizing the state prison system, saying that to do so would shirk the state’s constitutional responsibility to rehabilitate inmates. The 197-136 roll call by the Democratic -controlled House sent House Bill 443 to the Senate, where Republicans hold a slim, 13-11 majority and the bill’s fate is uncertain, at best. The legislation, while prohibiting prison privatization, allows the governor to enter into a temporary contract with a private provider during times of a “corrections emergency” with the approval of the Executive Council. The move is an abrupt shift in New Hampshire, where just last year the legislature had considered a bill to send its entire male prison population to private prisons. The problems with private prisons are too numerous to spell out in full, but here are a few highlights.